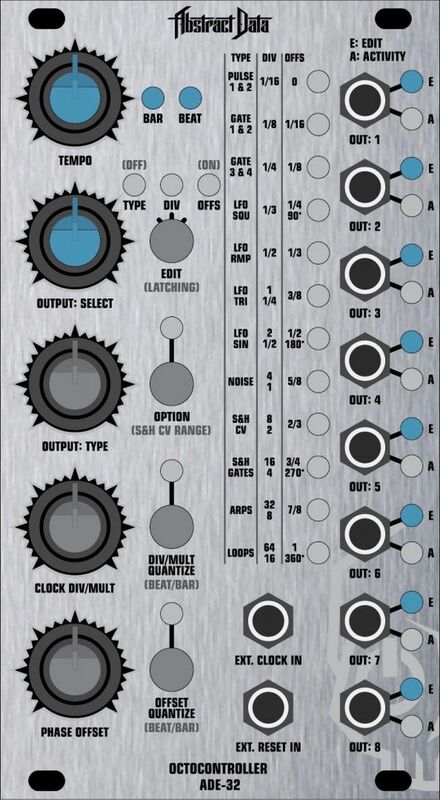 Control, Modulation, Triggering and Pattern module with,12 Output Types individually assignable to 8 simultaneous Outputs. Highly configurable Control, Modulation, Triggering and Pattern module. 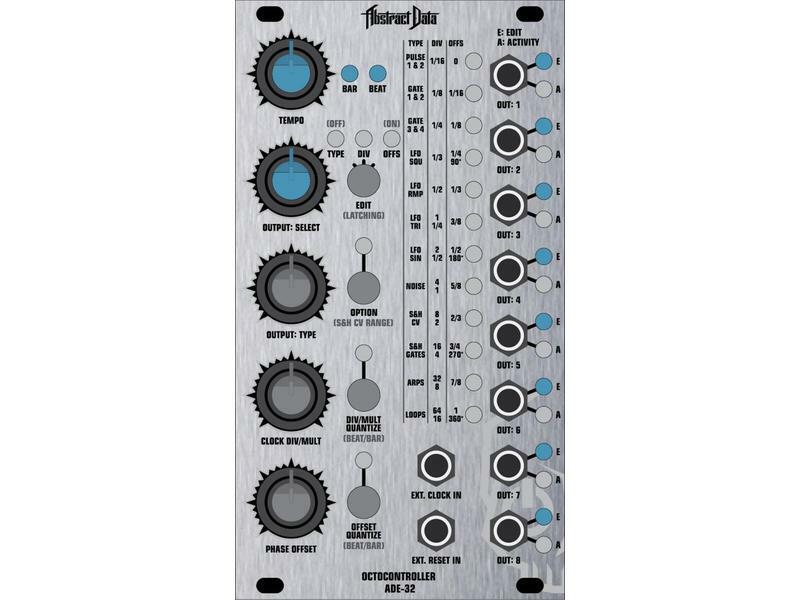 8 simultaneous Outputs and 12, individually assignable, Output types. Output and Modulation types include Pulses, Gates, LFOs, Digital Noise, Loopable S&H modes and a collection of Arpeggios and Rhythmic Loops. Tempo-sync for all Outputs is provided by the on-board Clock or an External Clock Input with Tempo ranges from 20 to 270 BPM. 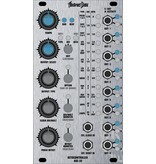 Outputs can be set to any Clock Division or Multiple from 1/16th of a Beat to 16 Bars and can be Offset up to 360 Degrees. Intuitive interface allows user-definable control over knob and parameter behavior to match the preferences of individual users.